Get a contact manager for pre-sales to post-sales CRM. Is your sales team spending most of its time checking which contacts to follow up today? Sorting the spreadsheet into those contacts to whom we need to send the demo presentation? Finding the contacts the last sales guy touched before he quit the organisation? Most organisations struggle to put a great sales team together. But what the team mostly does is not sales. It is “managing contacts”. Be it digital marketing start-ups, import export companies, solar companies or water purifier service providers, the sales team ends up getting consumed into “managing contacts”. Sales teams can become critical intelligence assets as they interact with the contacts. How to meet pipeline expectations, how to reach out better, etc – all of this intelligence is great if it is used. Not every organisation can afford or needs to splurge on an expensive sales management software suite to do contact management. 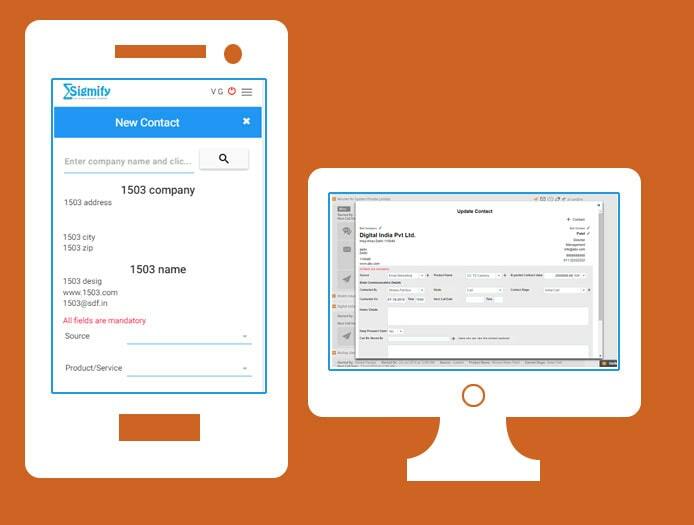 Sigmify brings a low cost cloud CRM to help you manage contacts, track your leads and generate more business. Our contact management software can be also used by field staff through a contact manager app. Manage your sales strategies. Leave contacts to Sigmify!